The 55FCE Negra adds exotic ziricote back and sides to the popular stage-ready 55FCE. The handcrafted 55FCE Negra's thin, feedback-resistant body makes this Spanish-made guitar an essential tool in the gigging musician's arsenal. 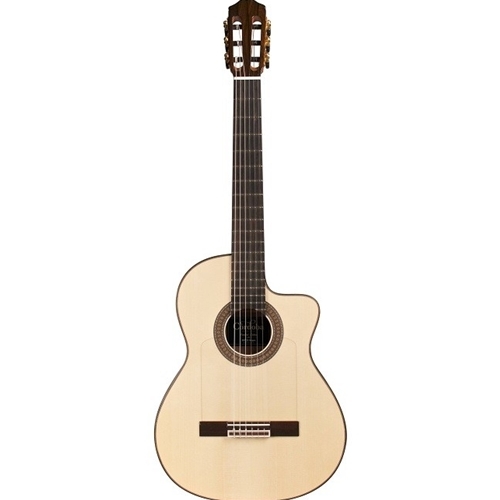 The chosen guitar of the Gipsy Kings, its solid European spruce top is paired with ziricote, which provides a rich, smooth sound that fills a room.